Ka’s has a lot of competition. 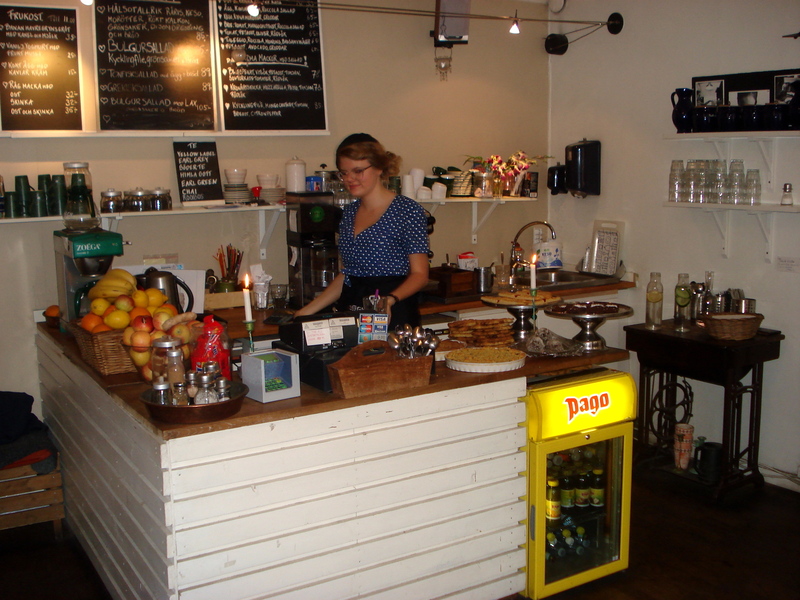 And the coffee shop is in a semi-basement. Not ideal. 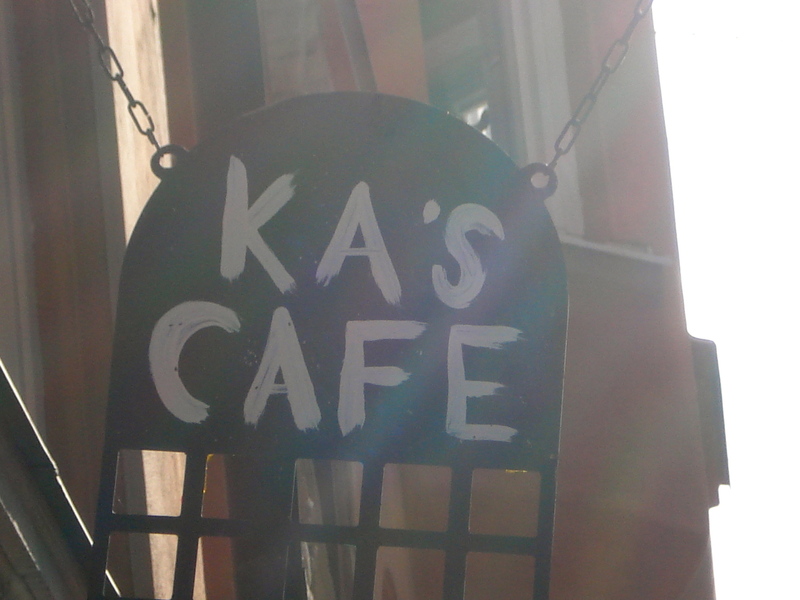 But Ka’s has a few tables on the sidewalk and I happened to walk by as the sun was hitting those tables. That was the signal. I had to stop. Beside, at that point Ryan had joined me for coffee and he was complaining that he was hungry so we had to stop somewhere. And that would be ka’s! As I walked through the door, I saw a tiny tiny sign that says: “Inga datorer tack”. No computer thanks! Well, that is a bit unusual. I thought it was cool to go to a café and pretend to work on your laptop while really you are surfing some blogs or checking out your Facebook. So I ask the lady what she had against computer. She looked at me a bit puzzled and said: “what are you talking about? I study IT science!”. Ok, now I am confused so I have to ask more directly why then no computers are allowed in the café? She still looks puzzled but now she has a good answer. Coffee shops, she said, are meant to relax, not to work. We want people to talk to each other, not to a computer screen! It makes sense I guess….